Ta-da!  Agatha is now the proud owner of her own little piece of Brooklyn real estate. While I could certainly make the case that this white playhouse is perfect for encouraging the type of open-ended imaginative play that is critical for toddler brain development, let's get real. This is more than a little bit for the little girl in me! What can I say? I'm a sucker for homes big and small. I started with this wooden playhouse ordered from Wayfair which I selected primarily because of its small footprint. Perfect for my small backyard but it could even be used on a patio or large indoor playroom. It arrived quickly and was pretty straightforward to put together. It's adorable straight out of the box but of course, I wanted to customize it. The first step of this mini makeover was paint. Black, white and green are just about my favorite outdoor color scheme and it definitely transformed the look. I used patio decking to make the floor + porch and used white plastic garden fencing around the edges to create some more definition. Black and white patterned oil cloth cut and hung as bunting banners graced the eaves. A few hanging planters were added to the shutters and an oversized metal "A" marks the cottage for its tiny dweller. And while I fully own that I was pretty determined to get Aggie a little white playhouse cottage no matter what - I'm happy to report she absolutely adores it! Naturally, I can't leave well enough alone so I plan on adding a few upgrades to her white playhouse later this year inside in the form of an area rug and a makeshift play kitchen. Stay tuned for the next episode of This Little House! 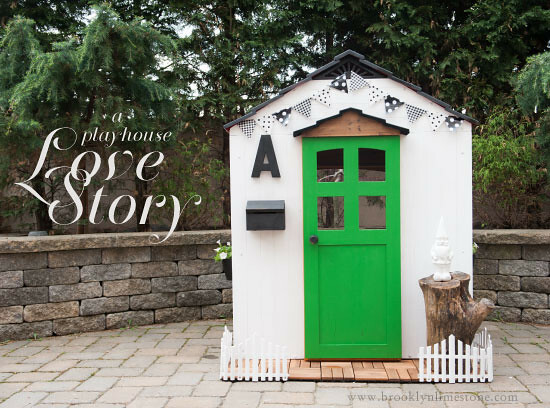 Don't have room for a White Playhouse outside? Check out this cute playhouse under the stairs. Thankfully our serious heat doesn't really start until July and then it doesn't get cold again til around October. So we'll get at least 4 months of use this year plus the odd days in July/August that aren't sweltering hot. oh it's perfect! the gnome and the green door win me over! That looks amazing! I love all your extra touches and A is so adorable! So perfect! It's adorable and sure to get lots of love for he next few years. And thank you for the sources list! Did you sew the bunting? No sewing required. I used oil cloth which is treated to make it waterproof but also has the added benefit of keeping the edges fray free when cutting. This came out awesome-- and she looks like she's having the time of her life in those photos-- Too cute! Did you see the retro kitchen I made for my nieces for Christmas? I can't wait to see what kind of kitchen you come up with! I love the play kitchen you made! My original plan was to build a little counter and shelf area into the house to make a psuedo kitchen but once I got it assembled I realized almost all of the interior wall area is taken up by the windows so there isn't an ideal spot in there to put one. I'm going to try do so something simple in the corner but I can't quite figure out how to fit it all in without closing off the window which I don't really want to do. Love it! Do you think the house is too small for a 5 and 7 year old? Hmm..I'm not all that knowledgeable about the average height of a 7 year old so don't hold me too but there is plenty of clearance in terms of height for Agatha so I think it should work. Obviously there isn't a ton of room inside to run around though. Holy moly... that is the cutest playhouse I've ever seen!! Amazing job!! Unrelated questions for ya: The rug you just got for the shore house living room... do you think it would be okay for a family with a toddler (maybe the busy pattern makes dirt not so obvious??) Also, have you had any problems with shedding? I was thinking of getting it for my living room! I guess it would depend on what happens on your rug. We don't eat in the living room and we generally take our shoes off at the door so I'm not too worried. I dont think the occasional dirt will be too harmful since its not white. The rug will certainly be more forgiving than our couch. As for the shedding, too soon to tell since we are still putting the place together. There is some but nothing too bad just yet. I'm very jealous and trying to rationalize getting one of these for me, a middle-age woman. Put in a comfy chair and make it my reading room? THANK YOU! 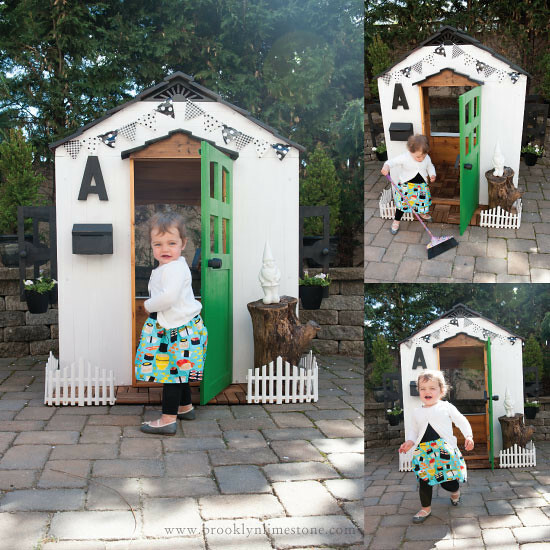 Its absolutely the cutest playhouse ever! Now I want a baby girl so I cab spoil her with stuff like this! Awesome job! An adorable house for an adorable girl. That's it. Coolest mom ever award goes to you! Awwwhhh!!! That is so sweet! Great job! So cute! Love the color combinations - I am in the middle of a serious emerald green crush and can't get enough of it! She looks so happy with her new little space! I've been waiting for this post! Absolutely LOVE LOVE LOVE it! Can't wait to see what else you do! It is adorable! What a treasure & how much fun she'll have! Gah I LOVE IT!! Pinning these as I gaze at our plastic playhouse sitting in our yard. Aggie obviously adores it too!! This little house is adorable. I love how you customized the little house for your girl. I'm sure it's so fun for her to play in. I love the colors you used- so pretty. Oh.My.Gosh. I just, I just, I just can't even get the words out. This playhouse is KILLING me. So much cute. I want to take a paintbrush to mine right away. (Ryan already told me I couldn't, though.) Maybe just the door? I love that green door so much and I love the addition of the pennants and flowers. Ahhh..... I just can't tell you how much I adore it. Well done. This turned out so perfectly! I love it and the colors you chose!! The green door was just the right touch. First of all....Wow! Great job on the playhouse. It's precious and I love how it's not too kiddie, so it actually looks like a patio accessory rather than a typical playhouse. Also, would you mind sharing where you got Agatha's adorable skirt? It's sold out right now but this brand has come on a few times so if you set up a reminder, it will let you know when the dress is back. so adorable! What a lucky little girl to have such a fun place to play! Oh wow, your playhouse is amaaazing! love it.